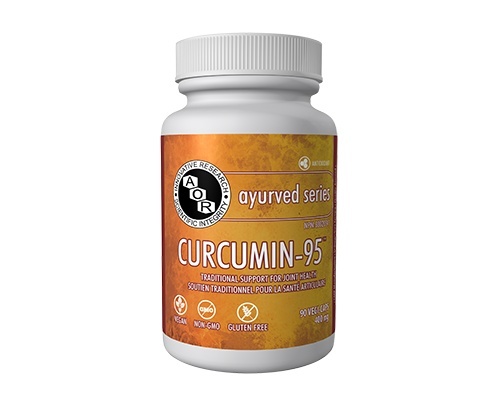 Curcumin-95 is a curcuminoid extract standardized to 95% pure curcumin. Curcumin is a powerful antioxidant and anti-inflammatory and has been traditionally used to treat joint pain and various types of chronic pain, although it has many other benefits. It can help protect cells and prevent oxidation of cholesterol and cell membranes, has antibacterial, antifungal and antiviral effects, blocks abnormal cellular growth, promotes healthy cholesterol levels and supports cardiovascular health.